TOKAJI.com .::. Buy Premium Tokaji Aszú : 2007 Tokaji Aszú 6 put. "Mezes Mály"
You are here: Home BUY TOKAJI Buy Premium Tokaji Aszú 2007 Tokaji Aszú 6 put. "Mezes Mály"
Opulent 221 g/l of residual sugar come along with the 2007 six puttonyos Aszú from the "Honey-Pot", Tarcal's celebrated Mezes Mály vineyard (Great 1st Class in 1700). 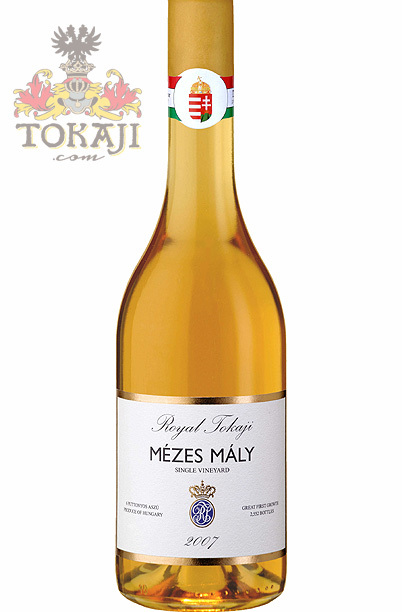 It is Royal Tokaji's most valuable Aszú from their range of growth selected Aszú wines.